London is calling my name again. Next week I'll be in London for two events, July 9th and 10th. On July 9th, from 4pm-9pm, I will be leading a workshop called Thinking visually to tackle business challenges: A creative and innovative approach to problem solving. Statistical surveys have shown that design and visualisation have averifiable impact on business performance. 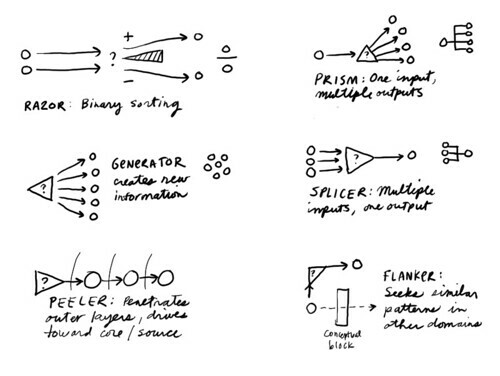 Visual articulation is important when solving a problem that involves strategic goals and initiatives. At its core, it helps bridge the problem or opportunity with the solution. That is why helping decision makers to think and express themselves visually gives organisations a competitive edge in the marketplace. Joining me will be a couple of XPLANE clients, who will share case studies of how they employed visual thinking in their organisations. There is a fee for the workshop and a 10% discount if you register by July 2nd. You can download a pdf description and register for the workshop here. 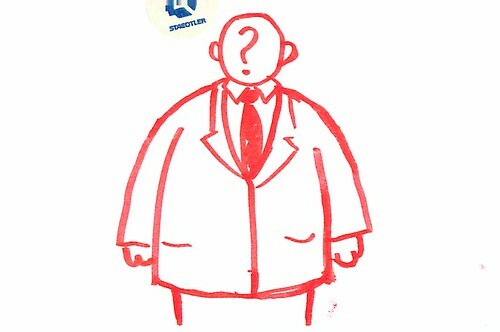 On July 10th I will be leading an interactive session and discussion at VizThink London. That event goes from 5:30-9:00pm. I hope you can join me at one or both events -- and I am sure there will be drinks afterward in both cases, so if you can't make the events I hope you'll join us for the drinks! 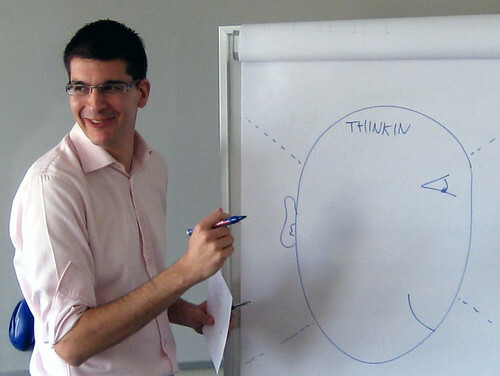 The picture above is my friend Alex Osterwalder, from one of my previous workshops. VP of NO, originally uploaded by dgray_xplane. A comment from Cindy, a new reader, prompted a realization that Communication Nation has quite a few new readers who have recently discovered this blog. I have met many of you over the years and found you to be a unique and fascinating community of people. You need to be aware of each other! I did this a while back but I think it's time for an update. 1. Who are you? If it's not too personal, what's your name and job title? 2. What industry or field do you work in or most strongly identify with? 3. What do you most want to see happening on this blog? And/or anything else you want to talk about. You also might want to check out the last post like this, from March of 2006, here. And even if you left a note the last time I did this, it would be great to know what you're up to now and what's on your mind. So please leave a note in the comments section and introduce yourself! We'd love to meet you. Communication Nation has been named one of the top 50 productivity blogs of the year by Evan Carmichael. Woo-hoo! 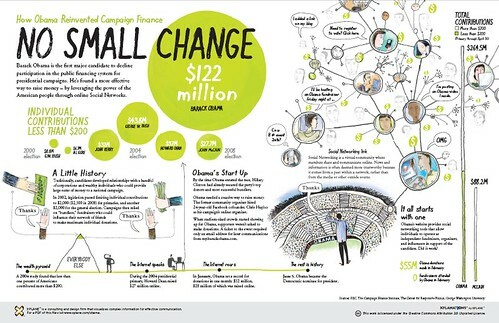 How Obama reinvented campaign finance, originally uploaded by dgray_xplane. Barack Obama is the first major candidate to decline participation in the public financing system for presidential campaigns. He’s found a more effective way to raise money – by leveraging the power of the American people through online Social Networks. Get the pdf version here. During the United Nations Special Session on Children in May 2002, children discussed eight key issues and wrote a statement reflecting their views, ‘A World Fit for Us’. Five years later, XPLANE worked with Unicef to develop a booklet to report back to children what progress has been made in their name; it also presents stories and concerns of children around the world. In the video above, the XPLANE team offers a peek behind the scenes as they reflect on the project. Click here to download a PDF or buy a print copy. Q-tools, originally uploaded by dgray_xplane. You can think of a question as a tool that you can use to increase your knowledge or reduce uncertainty. In fact, a question may be the most basic tool for gaining knowledge and working with information. If this is so, then it makes sense to ask which kinds of questions are best suited to different kinds of information challenges. A set of standard questions that can be applied consistently to different situations might form the basis of a standard toolkit for information discovery and design. Read the full post and share your thoughts here. Garr Reynolds of Presentation Zen talks to Google about how to make an effective presentation. Excellent talk.